More have moved to South Korea for work or marriage over the past years. Vietnamese have surpassed Americans to become the second largest group of foreigners in South Korea as the number of interracial marriages and foreign workers continues to rise here. According to immigration data published by The Korea Times, 147,295 Vietnamese people were living in South Korea at the end of last month, accounting for 7.4 percent of all expats. In comparison, there were one million Chinese and 140,337 Americans. This is the first time in 16 years that there are more Vietnamese than Americans in the country, the report said. During the first 11 months, Vietnam sent around 108,000 people to work overseas. While half of them went to Taiwan, over 7,000 headed to South Korea, official statistics showed. Meanwhile, there were around 152,000 South Korean-Vietnamese married couples. Among foreigners who married in South Korea, Chinese women made up the largest number at 27.9 percent, followed by brides from Vietnam, the Philippines and Japan. Many media reports said young Vietnamese women from poor families often met their suitors via illegal brokerage services. 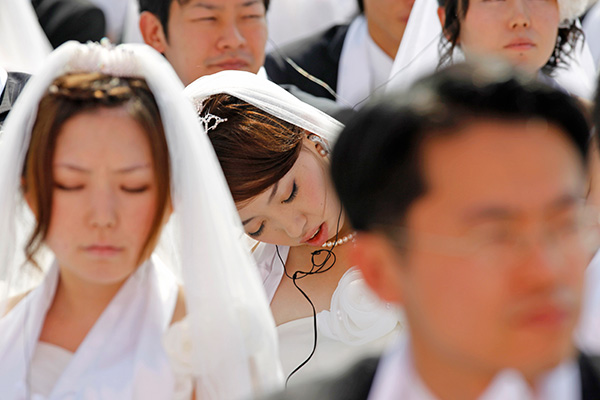 Statistics showed that almost 40 percent of those marriages in South Korea ended in a divorce within five years. Some said cultural and language differences were the main reasons; others said that they had been abused by the husband and his family.